The long, cold winters of Wisconsin mean many cozy evenings spent in front of home fireplaces. Make sure you're able to safely enjoy your fireplace this winter by scheduling a chimney inspection from the local experts of Wisconsin Chimney Technicians. The price of ignoring chimney and fireplace safety can be devastating. We’ve seen many Milwaukee area homes damage on their chimneys that would have been preventable with regular inspections and maintenance. Wisconsin Chimney Technicians offers a full range of chimney inspection services, ranging from basic visual examinations to interior flue closed circuit video assessments. Our service includes a complete assessment of your entire chimney system, including the liner, flue, chimney top, and fireplace or wood stove. A detailed report will be provided allowing the homeowner to see and understand any potential safety risks. Wisconsin Chimney Technicians also offer specialized inspection services for chimney fire damage, lightning strikes, insurance company assessments, and real estate evaluations. Unpredictable Wisconsin weather means chimneys go through a lot of irregular use during the year. The best approach to fireplace and chimney safety is to schedule a thorough inspection once a year during the warmer months of spring, summer, or early fall. The warmer weather allows our Milwaukee chimney inspectors to examine your chimney when it’s not in regular use and best determine any potential safety risks or hazards. Before a house can be sold in the state of Wisconsin, the seller must provide the buyer with a disclosure. This report contains details from the seller about the safety of the property. Unsafe conditions like mold, weak foundations, and other problems must be disclosed. Home sellers should have their chimneys checked by our professionals to ensure your disclosure is accurate. Wisconsin Chimney Technicians advises all new homeowners to have their chimney inspected prior to moving in. While the disclosure should reveal the condition of the chimney, it is always best to have a complete chimney inspection before using your chimney or fireplace for the first time. This is especially true if the house has been on the market for a long time. A dirty chimney can put your family at risk and can end up being far more costly than a simple Wisconsin chimney cleaning. 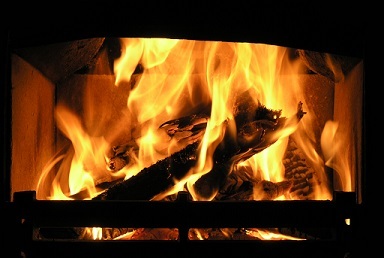 Regular chimney inspections and sweeps let you enjoy your fireplace in peace. Be sure to view our other chimney services offered in Milwaukee, Jefferson, Walworth, Washington, Kenosha, Ozaukee, Waukesha, or Racine Counties. Keeping your chimney safe and restoring its luxury are what we do best! From inspections and sweeps to repairs and rebuilding, we do it all! Contact our Wisconsin Chimney Inspectors today or call us at (262) 443-5933.